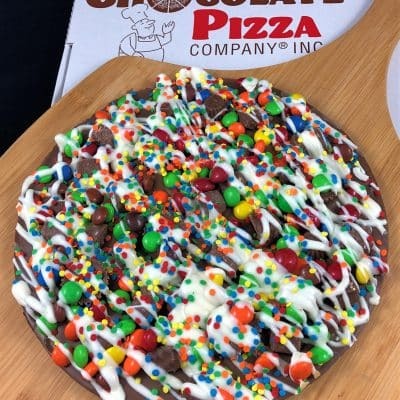 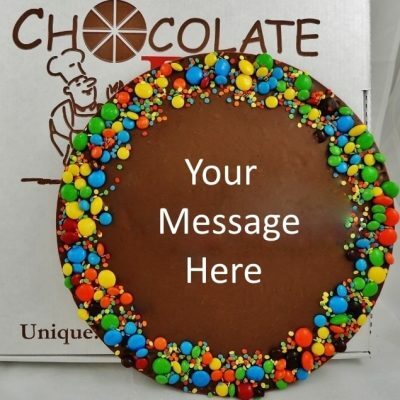 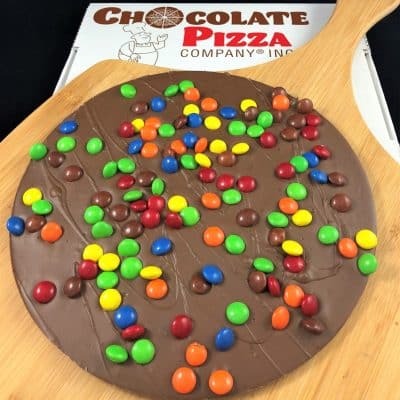 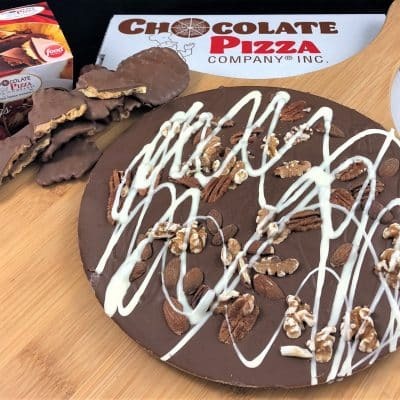 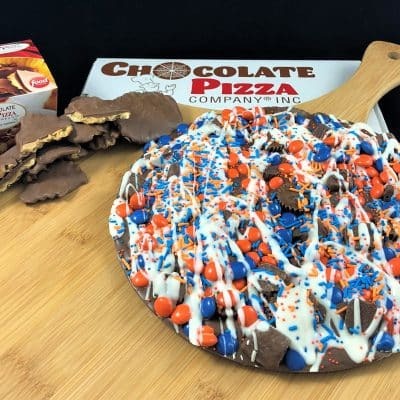 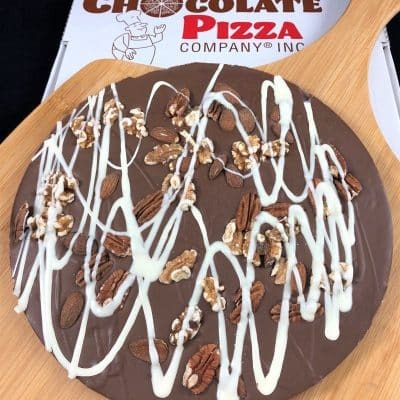 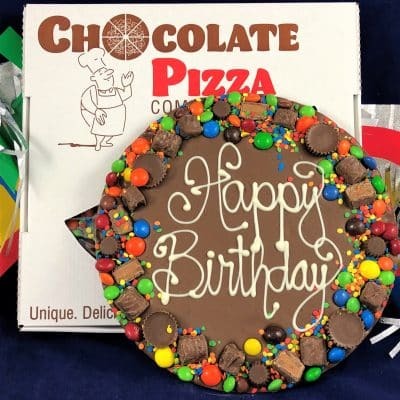 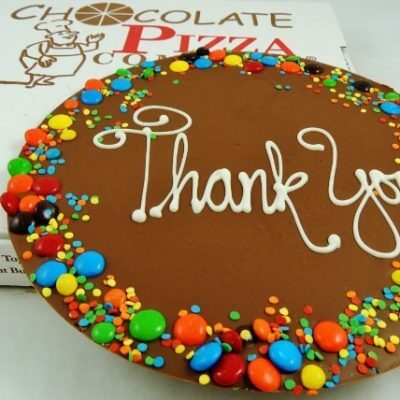 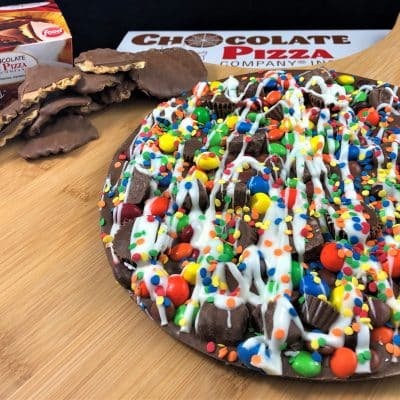 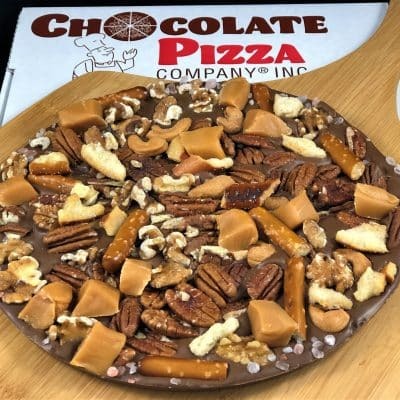 Chocolate Gifts from Chocolate Pizza Company are unique, delicious and impressive no matter what the occasion. 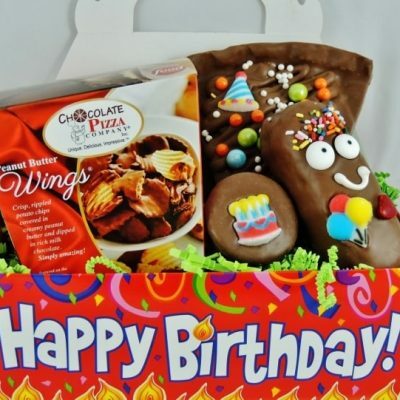 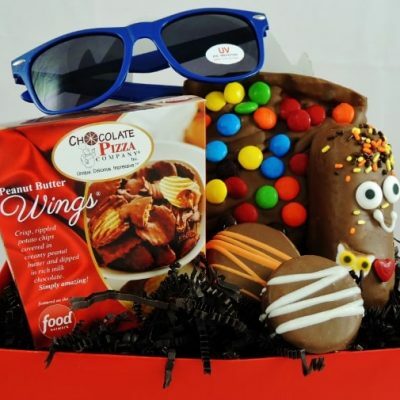 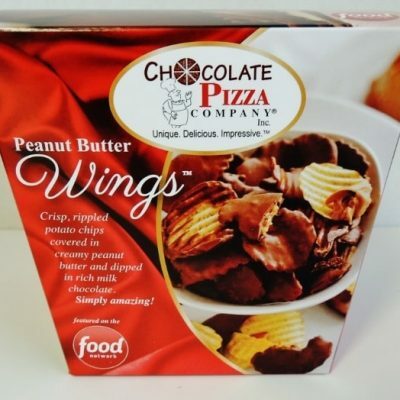 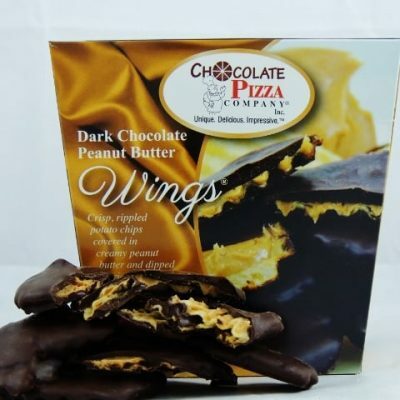 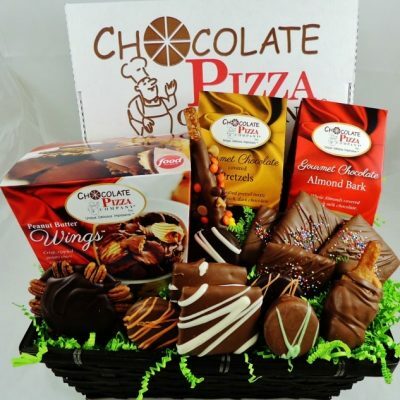 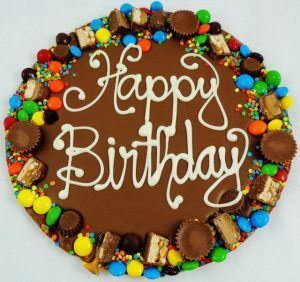 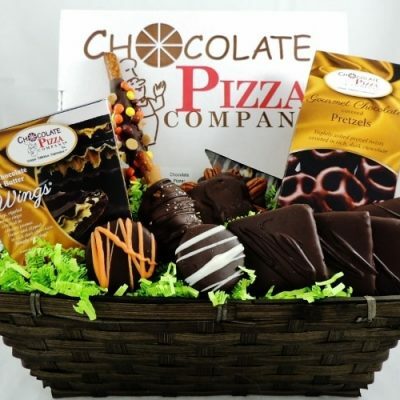 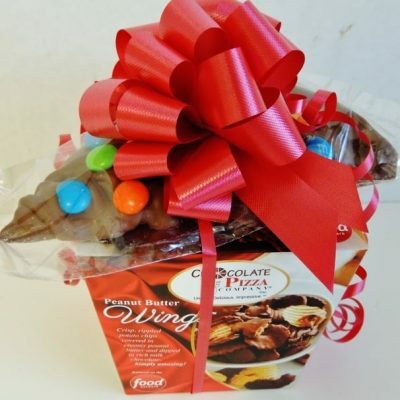 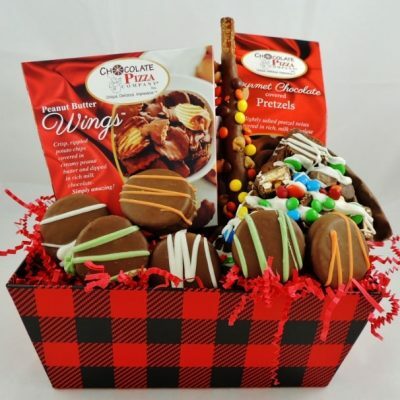 Our chocolate gifts range from a Slice and Wing Combo to a choice of best-selling Chocolate Pizzas and our famous Peanut Butter Wings to customized orders and beautiful gift baskets. 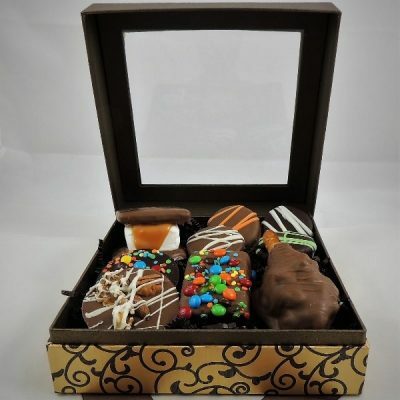 Here are a few of our most popular chocolate gifts but if you don’t see exactly what you are looking for then explore our entire website. 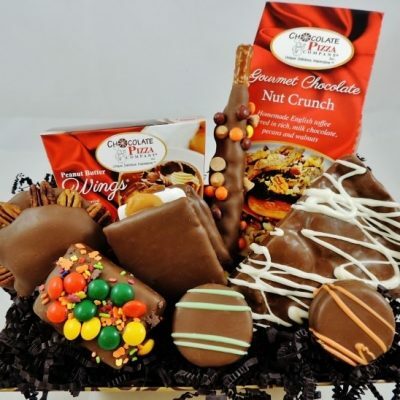 Featured on Food Network, CNBC, Hallmark Channel and CMT, our handcrafted, gourmet chocolate gifts are a fun surprise that people appreciate and remember.